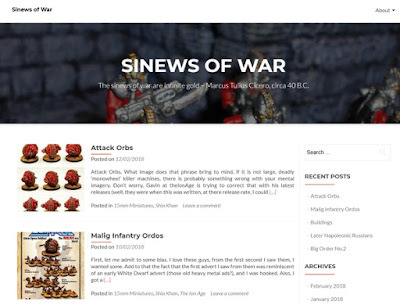 It always gives me great pleasure to learn of a new blog or other place where wargamers are enjoying The Ion Age and when Bugbear contacted me about his recently begun site 'Sinews of War' I had to check it out. It is a place with a lot of energy and sense of purpose. Go HERE and have a look. The most recent update on the Sinews of War concerned the authors new collection of Khanate Attack Orbs such as the Sphera. A dozen added to his Shia Khan ready to roll out and crush the puny Prydian Army who resist them. 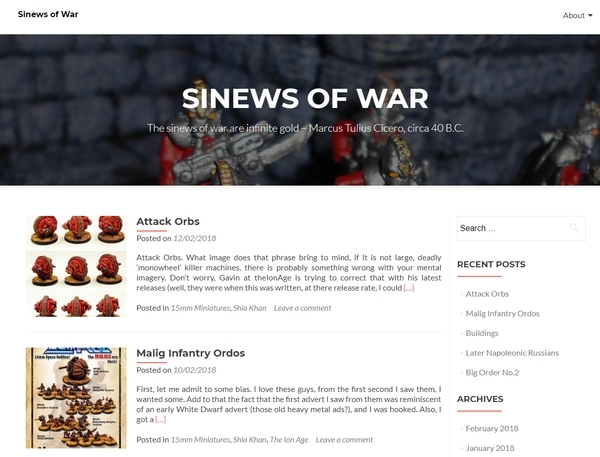 There are other postings such as beginning in Ion Age terrain with Hab Domes and Tower Modules for Bugbear's gaming table and talking about Maligs and their Ordos platoon pack and Infernus Ball Tank. As well as musings on the Khanate Empire. The blog is well with bookmarking and have a read. I will be a regular reader. Go HERE. 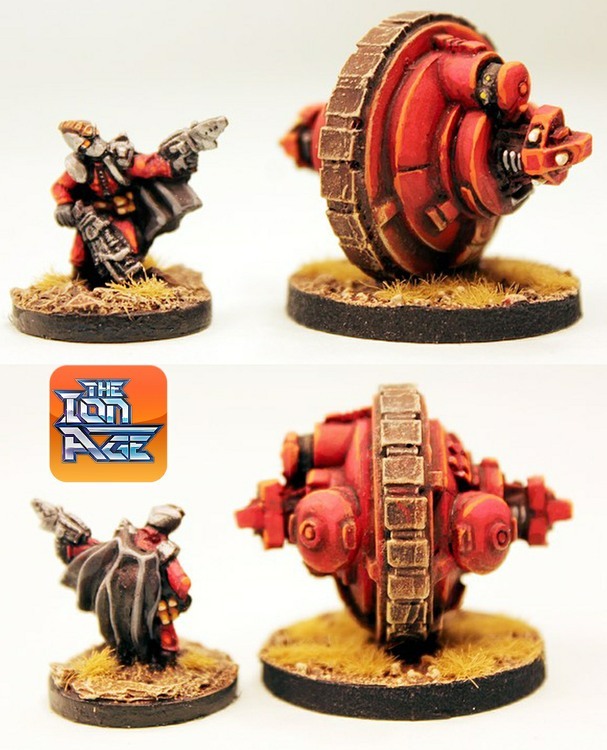 If you have a blog or other online place where you play Patrol Angis or have painted up our miniatures or written about them or some fiction please do let me know by email to info@theionage.com or in comments. 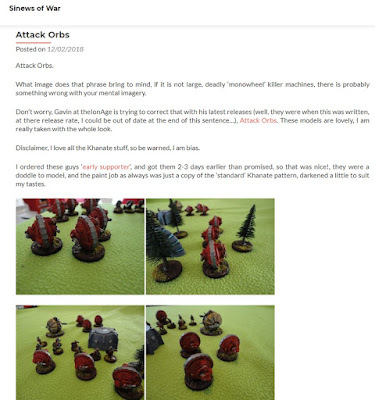 Plus you can join the Facebook group I run called Alternative Armies Tabletop Gaming Group where we often talk about Patrol Angis. Next week the full Ordos platoon pack of Beotan space Werewolves are released! Our main release for the month. A new pack of rifle poses plus the platoon which includes an additional free unique miniature. I know many of you have been waiting for them so it is not long at all now.